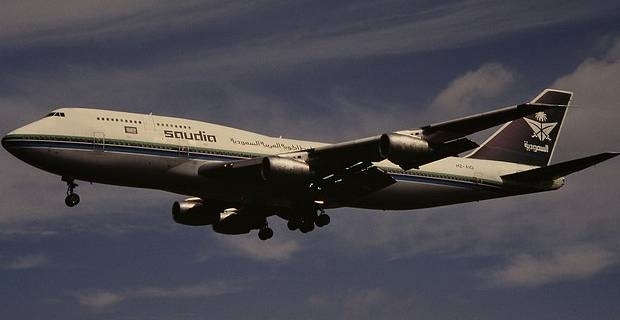 Saudi Airlines is the main travel operator in Saudi Arabia and the most convenient company to book tickets with if you intend to travel from London not only to Saudi Arabia, but to a rage of other destinations as well, including countries in Europe, Asia and the United States of America. The online booking process at saudiairlines.com is the quickest way to secure your tickets for your next flight with Saudi Airlines. All you need to do is choose you preferred flights and dates and you will be done in no time. Booking your hotel rooms for your preferred destination is also available on the website. All domestic and some of the international flights with Saudi Airlines are eligible for web check in, which becomes available any time between 24 to 3 hours prior to departure. Remember that if you have special requests such as extra seats or pets, web check-in is not available. If you are a frequent flyer with Saudi Airlines, you should not omit to consider joining Alfursan, the reward program that comes with plenty of benefits that will save you money in the long run. From earning miles with every single flight to enjoying special family fees, the Alfursan program is really worth considering. Corporate travel packages are available for those who need to book their flights according to a specific travel budget. Unlimited access to special facilities in numerous locations around the world, including Alfursan Golden lounge, is also available for those who choose business tickets. When choosing to fly with Saudi Airlines, you will enjoy personalized meals, according to your destination. The five-star menus differ from Middle East flights to Asia and Far East Flight, but in all instances passengers can choose from a selection of hors d'oeuvres and different main courses, including special dietary needs. Island Escape Cruises: Find All Inclusive Deals Online!